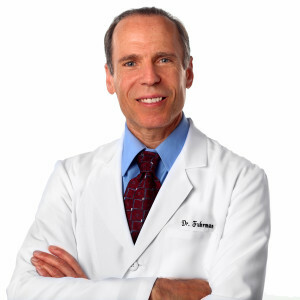 Joel Fuhrman M.D. is a board-certified family physician, best-selling author and nutritional researcher, who specializes in preventing and reversing disease through nutritional methods. As a medical expert on nutritional therapy and natural healing, Dr. Fuhrman has appeared on hundreds of radio and television shows on ABC, CBS, NBC, FOX, CNN, the Discovery Channel, TV Food Network, including, the Today Show, Good Morning America, Live With Kelly and Michael, and The Dr. Oz Show. Dr. Fuhrman’s PBS television show, “3 Steps to Incredible Health”, began airing nationwide in June 2011and became the top fundraising show for PBS in 2011. In 2012 his PBS television show “Dr. Fuhrman’s Immunity Solution” began airing and beginning in August 2014 his show “End Dieting Forever” aired. Dr. Fuhrman’s efforts have not only been important to PBS but these shows make applying modern nutritional science understandable and have improved the health of millions of people across America. Dr. Fuhrman presently serves as the President and research director of the Nutritional Research Foundation. He is involved with multiple ongoing studies. His foundational discoveries on food addiction and human hunger were published in the scientific journal, Nutrition Journal, in November 2010 entitled, The Changing Perception of Hunger on a High Nutrient Density Diet. . Dr. Fuhrman is a graduate of the University of Pennsylvania School of Medicine (1988). As a former world class figure skater, he placed second in the United States National Pairs Championships in 1973, and third in the World Professional Pair Championships in 1976. Dr. Fuhrman has been involved professionally with sports medical committees, advised professional and Olympic athletes, and lectures to athletic trainers and world-class athletes for maximizing performance and preventing injury. Today, he devotes considerable time to educating other physicians at medical conferences for CME credit. Fuhrman J, Singer M. Improved Cardiovascular Parameter With a Nutrient-Dense, Plant-Rich Diet-Style: A Patient Survey With Illustrative Cases. American Journal of Lifestyle Medicine. 1559827615611024. October 15, 2015 doi:10.1177/1559827615611024. Fuhrman J, Ferreri DM. Fueling the vegetarian (vegan) athlete. Current Sports Medicine Reports. 2010 Jul-Aug;9(4):233-41. Fuhrman J, Sarter B, Calabro DJ. Brief case reports of medically supervised, water-only fasting associated with remission of autoimmune disease. Alternative Therapies in Health and Medicine. 2002 Jul-Aug;8(4):112, 110-1. Fuhrman J, Selzer ME, Kaplan FS. A shoulder-facial synkinesis in normal human subjects. University of Pennsylvania Orthopaedic Journal. 1991;7:43-45.